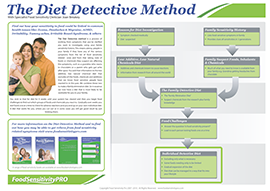 How do you update the diet manual for food sensitivity? Diet and IBS – what can you do? Sample chapter of "Are You Food Sensitive ?" now available. Sample chapter of “Are You Food Sensitive ?” now available. We welcome you to sample Are You Food Sensitive eBook. Click here to read a sample chapter. To purchase your copy and get access to the entire eBook immediately click here.